In the yard this morning. A remarkable capture! 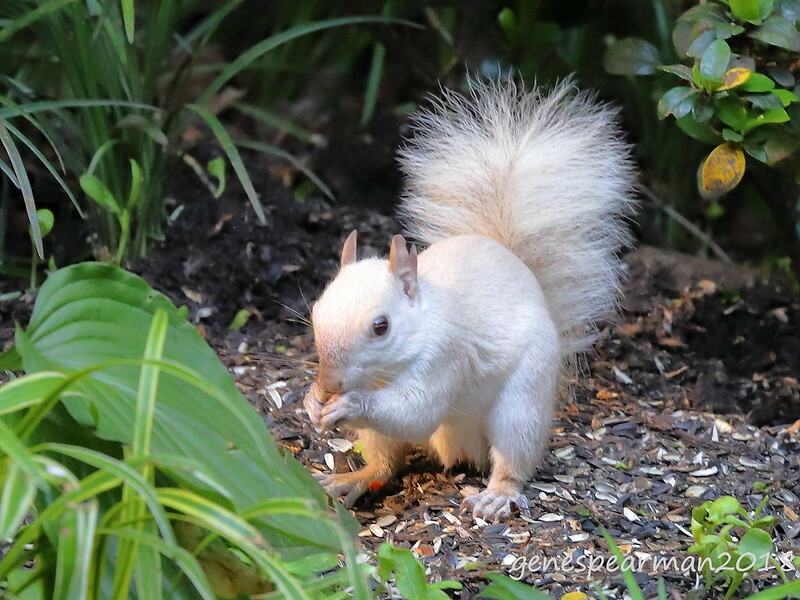 I see that he/she is not albino so a truly white squirrel. Nice shot. Thanks for the comment. We use to have several in the neighborhood, but this is the first I have seen in a couple of years. Great capture Gene. It is not albino but leucistic - a recessive gene mutation. Neat shot. I have never seen one. Yes, it has dark eyes and some tinges of grey in the tail. Thanks, Lee. Here just about every day in the mornings. Being white might explain why they are so rarely seen. Perhaps for their survival someone should take them to a hair salon for colouring. This one has been visiting every morning. Great shot and find Gene.